Earlier this week I was awarded the Liebster Blog Award by the lovely Kirsty Baxter over at The Style Khalessi I haven't been able to find a direct definition or origin for the Liebster Award however, the Liebster Blog Award is given to upcoming bloggers who have less than 200 followers. 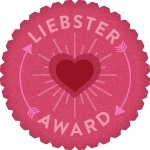 The Meaning; Liebster is German and means sweetest, kindest, nicest, dearest, beloved, lovely, kind, pleasant, valued, cute, endearing and welcome. ✿ I don't have a middle name. ✿ I have lived in the same house on the same street for all my 24 years, 6 months and 24 days on this earth. ✿ I absolutely hate hate HATE bananas. ✿ I went fishing all the time when i was younger but i hate fish and i don't eat fish. ✿ I love tea, milky builders tea, drink at least 9 cups a day minimum. ✿ I've had laser eye surgery. ✿ I hate people cracking their fingers near me, it just makes me squirm. ✿ I only eat 4 fruits, Granny smith apple, grapes, pommegrants and limes. ✿ I know some completely useless information. ✿ I hate kitten heels. point? Probably not unless i was with someone who knew what they were doin but i probably end up zombified. You have 3 beauty products during the aforementioned apoclypse, what are they? Nail polish, Mascara, Lip balm. You also have 2 outfits, what are they? leggings, tee, flat boots, hoodie, leggings, tee, cardigan, boots. cat, for the sole reason i got bitten off quite a big dog when i was younger and it scared me right off dogs, i go out my way to avoid them if i can in the street. Who is the most stylish woman right now? Kourtney Kardasian / Blake Lively. Who is one 'style icon' you really cant stand? Lana del ray. does my heed in. What is the favourite thing about yourself? my sense of humour i can always make myself laugh i like my own company. If one song was to be the theme tune of your life, what would it be? 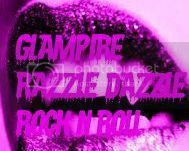 erm...Bon Jovi, blaze if glory. Are you a spot or a stripe? What sort of blog posts do you most enjoy? variation, nothing too self obsessed. gave up on 11. 8 will need to do. if you could posses any power, what would it be? the place you wish to visit most? if you cange one thing about you, what would it be? if you could be re-named what name would you choose and why?